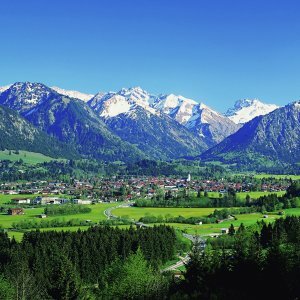 Oberstdorf – in the heart of Europe. It´s a fact – Oberstdorf can be reached from all over Europe in good and pleasant time. No matter if you come by train or car… lots of ways will lead you to the southernmost village in Germany. Allgäu Airport Memmingen (80 km to Oberstdorf).